From here, you will be taken to the event's fundraising page on GiveGab. 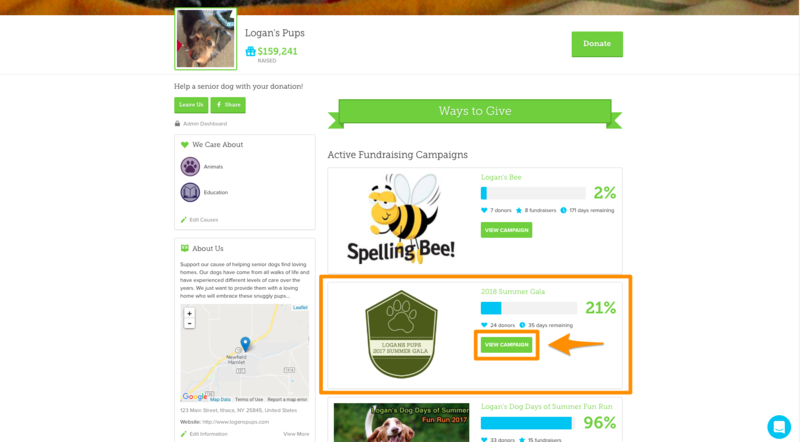 Click on the "Register" button that appears on the top of the fundraising page. From here, you will be taken to the event's registration form. Here you'll need to select your registration type, and fill out all of the information required in the registration form. Once this section is complete, click the "Save" button. After you submit your registration form, select whether or not you wish to add another registrant on the screen that follows. 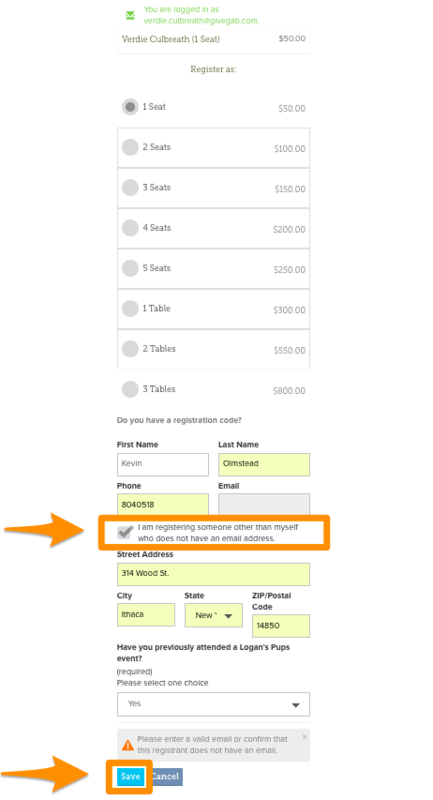 You will then return to the registration form screen to enter the registration information for the additional registrant you are adding to the event. If the person you are registering does not have their own email address, select the checkbox next to "I am registering someone who does not have an email address." Remember to click "Save" when you are done! 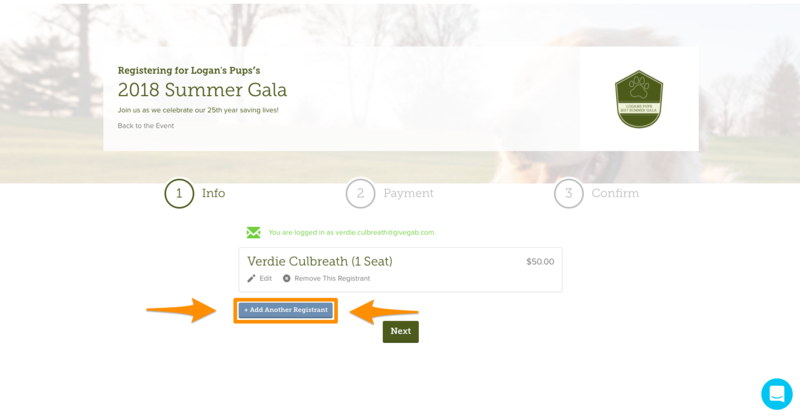 Once you are done registering all of the individuals you need to, click on the "Next" button to navigate to the payment screen. 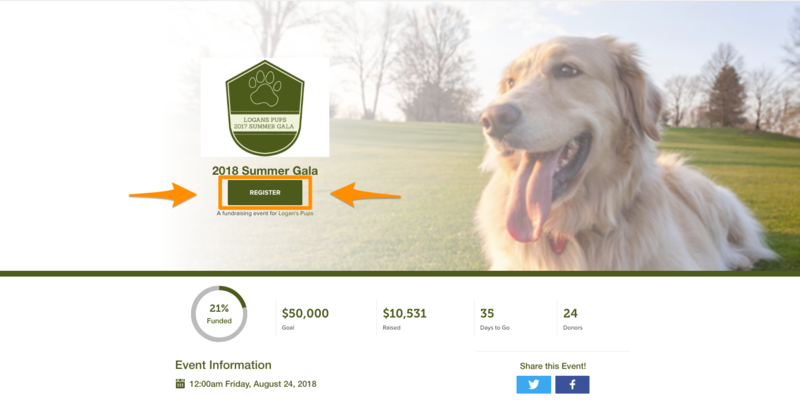 On the payment screen, you will have the option of making a charitable contribution to your organization, in addition to paying for the event's registration fee. 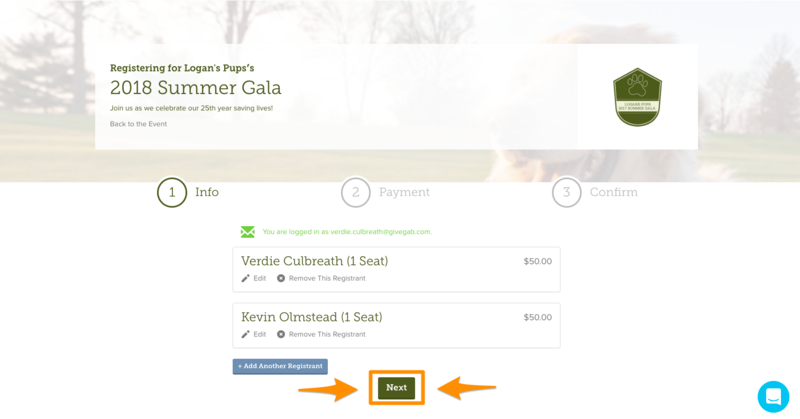 Once you enter any donation amount you'd like, you will enter your credit card information and then click "Next." 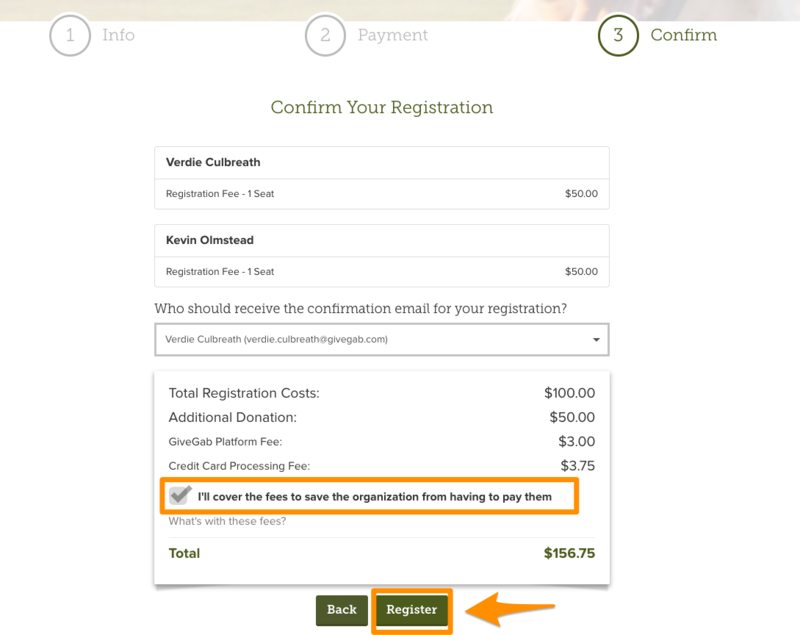 After entering your payment information, you will be taken to a confirmation screen where you will see a complete breakdown of all registration costs, donations, and swag items purchased. Here you will also be given the option to cover any platform fees and credit card processing fees on behalf of the organization. Once you have confirmed your purchase, select the "Register" button to complete the registration process! Once you see the confirmation screen, you are officially registered and will receive a confirmation email and receipt in your inbox shortly. Enjoy the event!